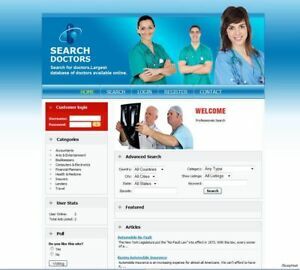 Details about DOCTOR SERVICE SEARCH DIRECTORY WEBSITE + GOOGLE ADSENSE. MAKE MONEY FROM HOME. Industry Type: Hospitals Directory Website for Sale Website Category: Doctor Services.